If you are wondering to showcase logos of your clients/sponsors/partners then, you are in the right place. Here, we will discuss step by step guide to showcase the logo of your clients/sponsors/partner on the WordPress website. But before we start the tutorial a few things about why showcasing the logo of your clients can enhance the credibility of your website. Showcasing the logo of your sponsors/clients/partners is an effective way of grabbing new customers. It lets your visitors know what type of brands/companies is associated with your business. By doing so, you significantly increase the credibility of your website and generate trust of your clients. How to showcase logo of your clients on your WordPress website? One of the easiest ways to showcase your client’s logo on your WordPress website is by using WordPress clients logo gallery plugins. These plugins allow you to create a logo gallery and showcase it anywhere on your WordPress website. Here, in this article, we will use Smart Logo Showcase plugin to show you how to showcase your client’s logo elegantly on your WordPress website. So, let’s get started and add some cool logo of your clients on your WordPress website. Smart Logo Showcase is a premium WordPress plugin to create the logo gallery and display them on your WordPress website. It comes with cool designs and easy to use configuration and customization options. Moreover, the plugin also comes with inbuilt shortcode generator for adding your logo showcase on anywhere on your WordPress website. 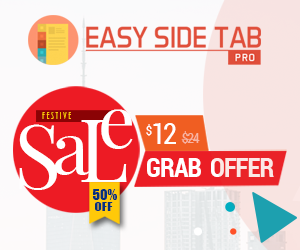 Get Smart Logo Showcase from CodeCanyon marketplace at $24. Then install it on your website. The installation of Smart Logo Showcase is similar to the installation of other WordPress plugins. 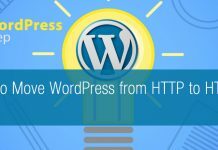 So, if you feel any difficulty while installing the plugin then, you can take help from its documentation or go through the article: How to install a new plugin in WordPress website? After you have successfully installed the plugin, you will see “Smart Logo” appear on the left menu of your WordPress dashboard. Click on it and follow the steps below to display the logo showcase on your WordPress website. You will land on “All Smart Logo” page. It consists of all the logo showcase you have created. In order to add new logo click on “Add New”. You will land on “Add New” page. Here, click on “Add Logo” to add logos you want to display. Then, scroll down below in the general settings to set wrapper width, external link target, title settings, and image effects. Also, choose the layout in which you want your logo to be displayed. There are 4 different layouts that come with separate settings for each of the layouts. So, choose the layout as per your preference then, configure all the settings available for the layouts. Also, set whether or not you want to display the full view of your logo. 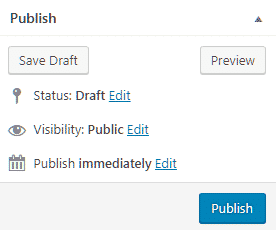 After you have completed everything, click on the publish button to publish your logo showcase. Then, copy the shortcodes from the Smart Logo Showcase Usage to add your logos on any page, posts, or widgets of your WordPress website. In this way, you can showcase your client’s logo on your WordPress website. So, if you want to display the logo of your clients in an elegant way then, you can purchase the plugin and follow this step by step tutorial. Previous articleHow to Get Facebook Insights for WordPress Site? Hey Buddy!, I found this information for you: "How to showcase your client’s logo elegantly on WordPress? (Step by Step Guide)". Here is the website link: https://wpallclub.com/showcase-your-clients-logo-on-wordpress/. Thank you.